What is sct file? How to open sct files? File extension sct is mainly associated with the Windows Script Components service. WSC is used to create COM component scripts in any scripting language that supports ActiveX scripting interfaces (JScript, VBScript, PSCrypt, Python). Windows Script Components are also used with Microsoft Internet Information Services. With SCT script component file, programmers can specify which interface handler he want to use. SCT script component also defines the methods that can be called from an .asp file. Microsoft Internet Information Services (IIS) is web server application distributed with Microsoft Windows Server as well as some editions of Microsoft Windows. IIS supports HTTP, HTTPS, FTP, FTPS, SMTP and NNTP protocols. To run script sequence double click on Windows script component file. To view content of Windows script component file use any text editor. A conversion for this sct file type is highly unlikely. and possible program actions that can be done with the file: like open sct file, edit sct file, convert sct file, view sct file, play sct file etc. (if exist software for corresponding action in File-Extensions.org's database). Click on the tab below to simply browse between the application actions, to quickly get a list of recommended software, which is able to perform the specified software action, such as opening, editing or converting sct files. 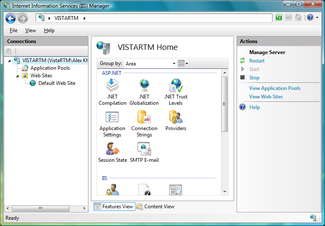 Programs supporting the exension sct on the main platforms Windows, Mac, Linux or mobile. Click on the link to get more information about listed programs for open sct file action. Programs supporting the exension sct on the main platforms Windows, Mac, Linux or mobile. Click on the link to get more information about listed programs for edit sct file action. Programs supporting the exension sct on the main platforms Windows, Mac, Linux or mobile. Click on the link to get more information about Microsoft Visual Studio for create sct file action. Click on the software link for more information about Microsoft Windows. Microsoft Windows uses sct file type for its internal purposes and/or also by different way than common edit or open file actions (eg. to install/execute/support an application itself, to store application or user data, configure program etc. ).